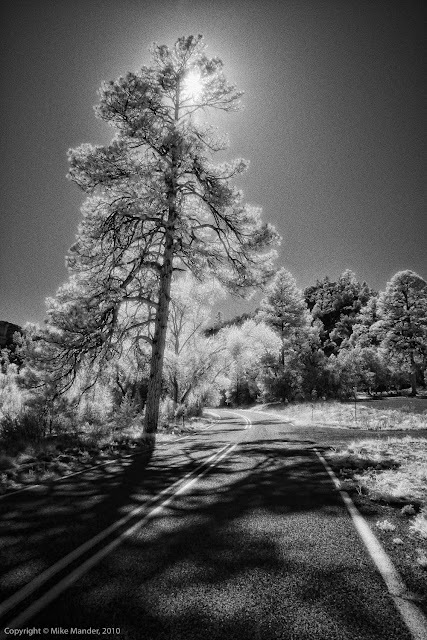 I have not been shooting much with my infrared-modded Canon EOS-20D. I probably took less than 100 shots on my entire 3 week trip with it. Just thought I'd post one that caught my eye, post-processed in Photoshop CS5 to simulate halation-glow and grain using actions I created for CS3 which, thankfully, still work perfectly in CS5.